Today was the sunniest day of the week, and the Parisians were out enjoying the beautiful weather. 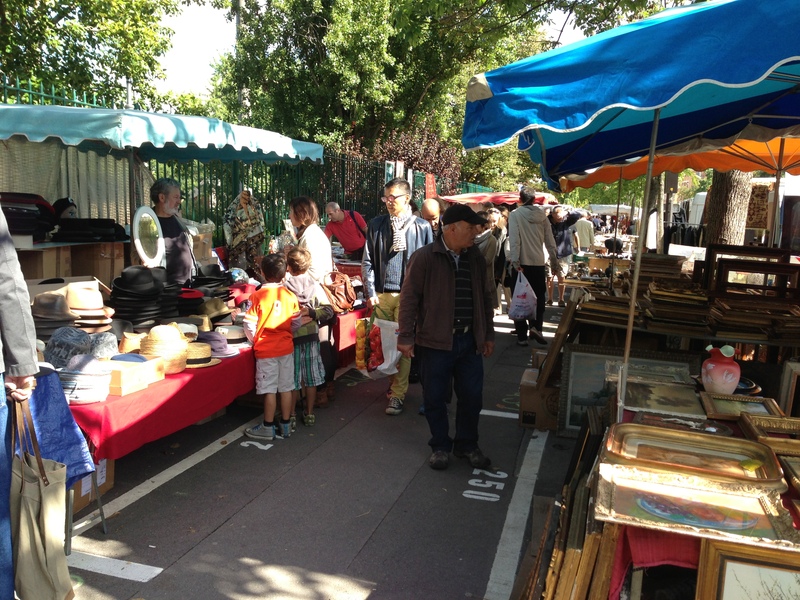 We visited an art market and a flea market and walked some new neighborhoods. Our walk took us past Les Invalides, where we saw Napoleon’s tomb. The highlight of my day was chatting with an older French man who sat next to us at lunch. The tables in French cafes are very close to each other. He initiated a conversation with us and complimented me on my French. I didn’t want to say too much after that for fear he would change his opinion. After lunch we walked along the Seine. Children rode their scooters, roller bladed and played games on big boards painted on the asphalt. Adults played checkers and backgammon. People of all ages wrote on a giant chalkboard. 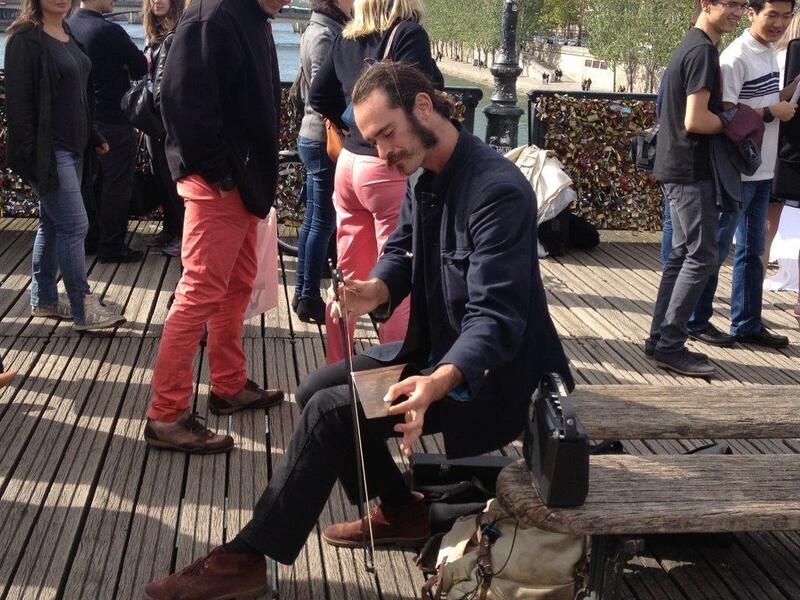 On the Pont des Arts, a man made beautiful music playing a saw. 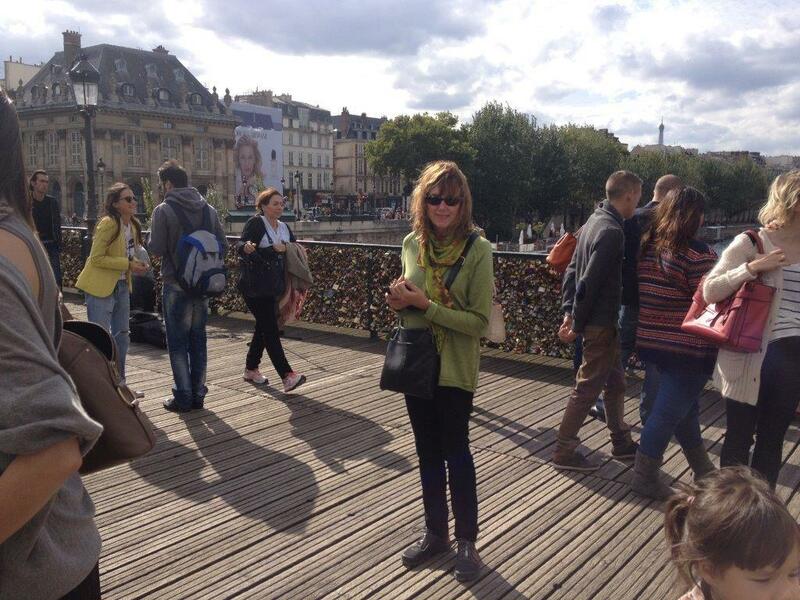 The Pont des Arts had many more “lovers’ locks” on it than the bridge we were on earlier in the week. One couple had just put their lock on the bridge and were getting ready to throw the keys into the Seine. This entry was posted in Paris 2013 on September 15, 2013 by debbie.